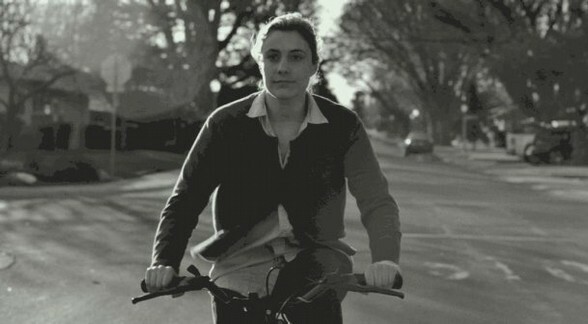 Frances Ha is now showing at the Sydney Film Festival. You can get your tickets here. 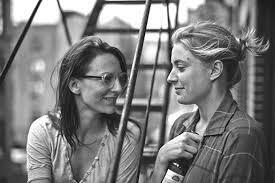 Frances Ha is a film that is loved, loved and then loved, most of all for Gerwig’s performance, which is spellbinding. This is probably the best film to show off her talents to date – and she did write it, alongside her adoring boyfriend Noah Baumbach, so in many ways you can think of it as an homage film, not only to the French New Wave and Woody Allen, but to Gerwig herself who really does deserve to have an homage film made to her. Even at this early stage in her career. Frances is not a particularly likeable character but she is interesting, and Gerwig keeps us glued to her movements that teeter on a border you didn’t know existed between graceful and clumsy. Frances is a dancer and Gerwig manages to make this completely believable and hysterically silly at the same time, which makes for a comic depth so absent in main stream comedy these days. Gerwig carries Frances Ha on her back, sort of like she did with Damsels in Distress, but with better credits this time. Frances Ha is also a kind of homage to early Woody Allen, mostly in portraying a youthful version of the white bourgeois intellectual Woody Allen never let go of his whole life. In some ways, these are the grand kids of Yale and Jill, assuming there were times for consummating before their divorce. Included in the reverence is a sound track to music made for their parents generation that Allen is so famous for; Allen used Jazz, Baumbach uses David Bowie. The connection even goes into the black and white used by Sam Levy in his cinematographic homage to Harris Savides who worked with Allen on Whatever Works. In so many ways the film is literally a “next generation” thing without having anything special to recommend it in terms of time and place besides Gerwig and the plot about women and friendship. You get the feeling all the way through that Baumbach is setting us up for a sort of Gen-next-Woodyallen-thang. Toward the end of Frances Ha, Frances, being the annoying person at a dinner party that everyone wishes wasn’t there, digresses from being a moron to describe what she is looking for with the love of her life. She sums it up in a moment, when you can look across a room and see “your person” and they instantly feel your look and glance back over at you. The glance will have no witnesses, but it is the depth behind it that connects the two and leaves them with the reminder they are one. Frances thinks she is looking for this but, as if confirmed by a glance at the end, she already has it with her best friend. But friendships are relationships that come second to the other “more important” relationships in life and Frances has to deal with the fact that even though she and Sophie (Mickey Sumner) are best friends, they can’t always be together. This is the central plot point of the film – again a very contemporary turn the always relationship narrative of Woody Allen. Also, similar to a Woody Allen film is the turned-upon-itself jab at the New York bourgeoisie. Woody Allen is obsessed with this social class, seeing himself lodged firmly within (even though his wealth might give him a different spot) and seems to be poking fun at them and their relationships in all his films. However, as is best revealed in Husbands and Wives, these jibes are playful and usually end up as seductive tickling. Allen never gives context to accuse the upper white middle class of Manhattan of anything in particular, other than being angsty and self-destructive, which is something we all are. Likewise, Baumbach and his mumblecore movement are the “sort of” soft jab of the hipster world, Greta Gerwig being the queen jewel in his crown. 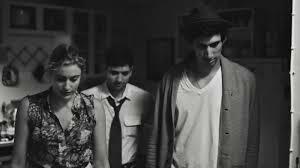 Frances Ha makes fun of these twenty-something hipster kids, all wealthy enough to be supported by their parents (sort of) and all devoted to arts that cannot and will not make any money. This is a regular theme for both Baumbach and Gerwig and so I am not surprised they see themselves as filmic descendants of Woody Allen. But we seem to tolerate this in Woody Allen, so I guess there is no reason to suspect we won’t tolerate it in Baumbach and Gerwig. 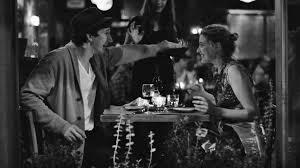 In may ways Frances Ha is a glossed up amalgam of many films both of them have made before, another trait we find endearing in Woody Allen. In the end, so many modern indie films are auto biographical, and ultimate homage of Frances Ha is the one I detailed in the first paragraph – the homage to Gerwig herself. Given the amounts of parts she has written and performed in that are so similar (again like Woody Allen) we take the understanding that Frances Ha is in many ways, Gerwigs autobiography to date. There is something about Frances wandering and putting-it-all-off that belies the fact that we know she is going to make it. 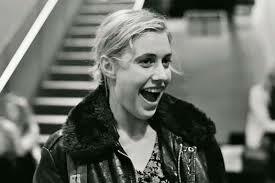 Gerwig herself is the evidence; Frances does make it and she make it big.